When I was a little girl, my dad always told me that the single most important thing I could do is make sure I moisturize my face. Using SPF, washing at night, and using lotion seems like a silly thing when you are 10, but I have to say out of all the sound advice my dad gave me, it’s one statement that still holds true today. 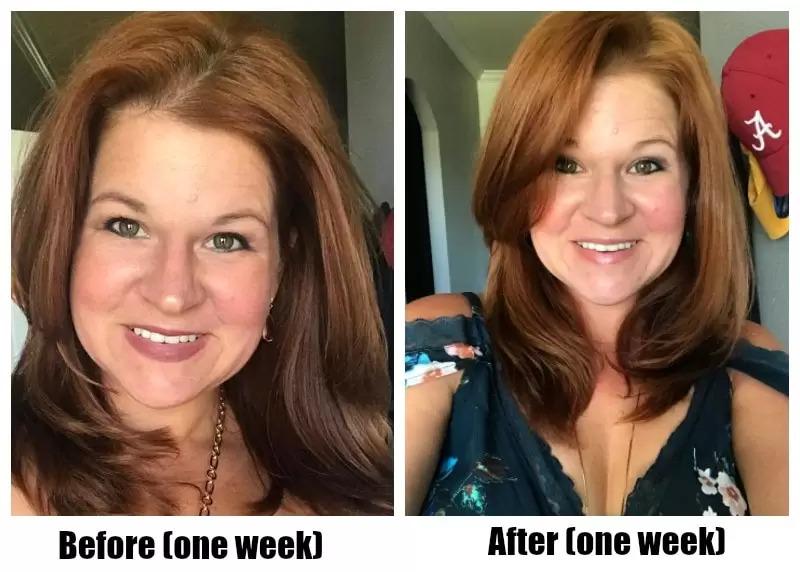 Thankfully, while I wasn’t great at it every single night, it stuck with me and I have been using and obsessed with face products that are truly going to make a difference for me, for years. Now at 39, I know that my skin’s elasticity, clarity, and even redness is impacted by my daily routine. I need to drink water, I need to use great products, I need to remove makeup at the end of the night, and yes, I still need to use moisturizer on a daily, or multi-daily basis. Now, women’s products have always run a plenty on the shelves. There is no shortage of pretty packaging and fancy names, but finding something that works is my only interest. Which is why I am excited to tell you that you do not need to spend $400 for a fancy cream to turn back time. A name you are already familiar with, Oil of Olay, has amazing benefits. 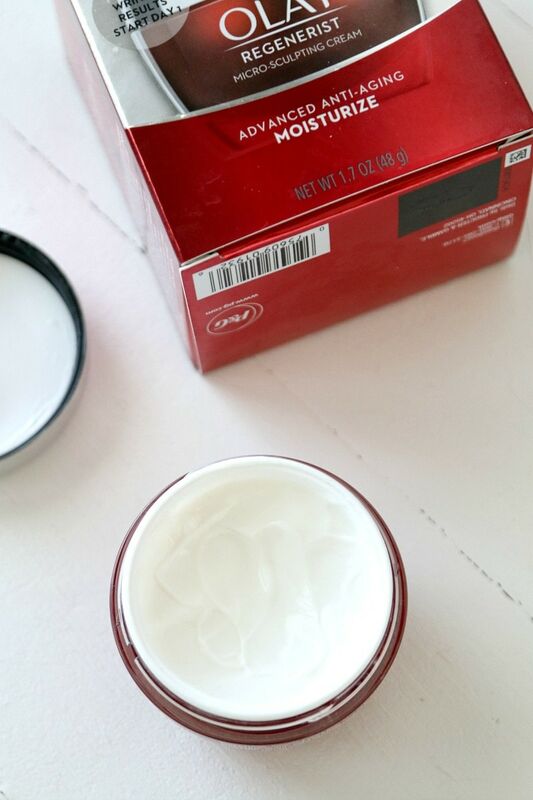 Recently, I was asked to try the Olay Regenerist Micro-Sculpting Cream and I cannot be more obsessed with it. From the soft feel of the cream as it touches your fingers and face, to the light and airy scent, it’s no surprise to me that this Olay cream moisturized 400% better than a cream nearly 18 times its price and beat all other products tested in the Good Housekeeping Institute test. An independent test by the Good Housekeeping Institute demonstrates that Olay Regenerist Micro-Sculpting Cream outperforms 10 top prestige creams, including one with a $440 price tag. Fancy studies are one thing but what does it mean in facts? 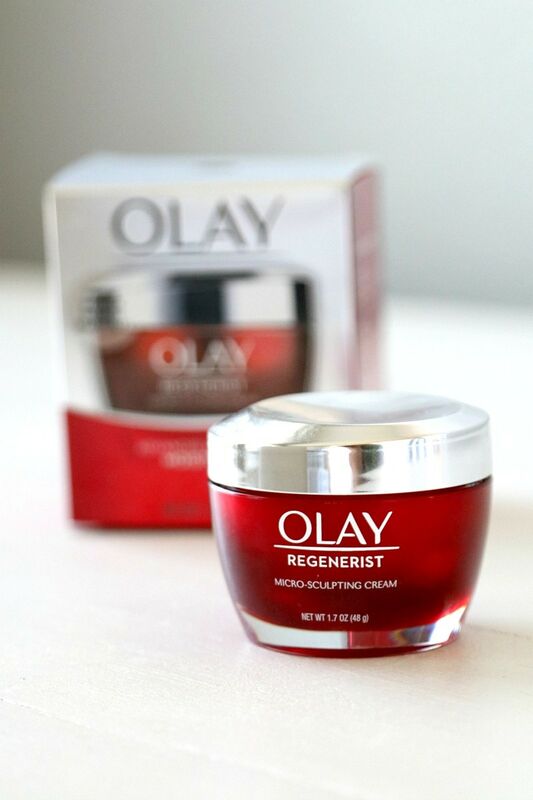 It means that Olay Regenerist Micro-Sculpting Cream will give you 50% more moisturizer on your overworked face in 24 hours. It means that consumers preferred Olay 80% of the time over expensive creams. It means that Olay improved skin’s texture by 10% in four weeks. All that is good and well but how were the results for me? I have only been using this newly formulated Olay Regenerist Micro-Sculpting Cream for a week, but I can tell a difference right away. I stay dry on the bridge of my nose and around my cheekbones, and using Olay in the morning and at night I can literally feel my face re-hydrating. Without makeup, I have a lot of dryness and redness. 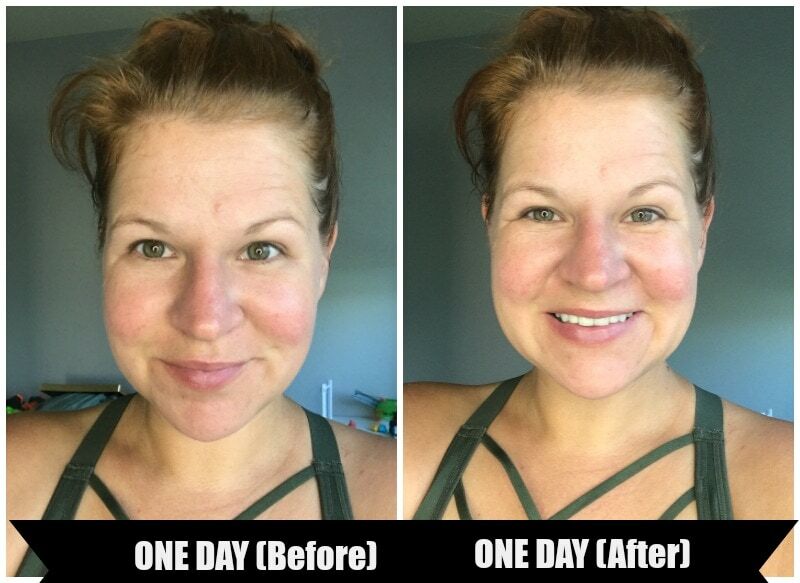 Here is one day usage (without makeup) before/after. You can’t see that much physical difference other than some dryness gone, but you can FEEL the hydration when you touch it. Stop testing out creams and thinking the almighty dollar is gonna help you pick the best anti-aging creams. For $26.99 there is no reason not to give Olay Regenerist a shot for four weeks and see how it makes a difference for your face. Head here to read one of the 23,000+ reviews and pick up your mini-miracle today!